These two characters will lift your spirits. 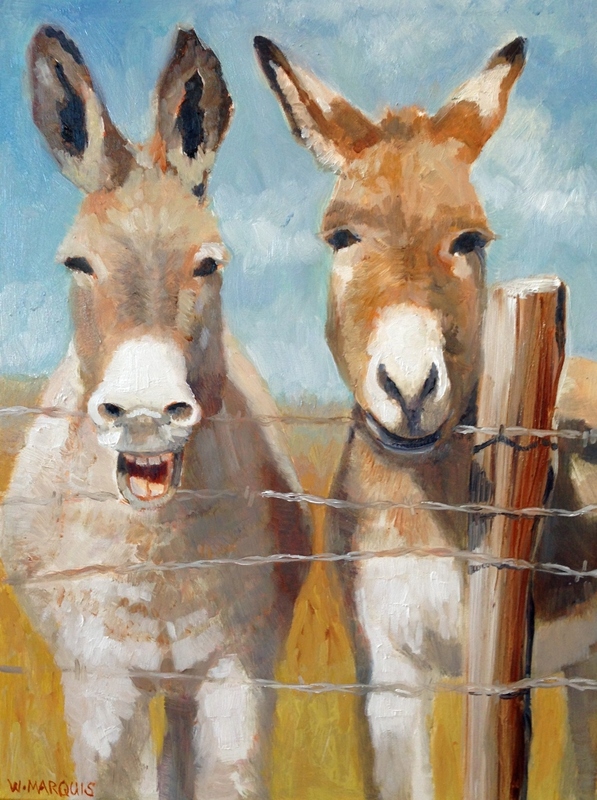 What is it about the bray of a donkey that cracks us up? Pablo and Paco should have their own show. At least give them a start in your home. For yourself or as a gift, Pablo and Paco, is available as a signed print on archival fine art paper, ready to mat and frame. Two sizes: 5 X 7, and 8 X 10. Free USPS Priority shipping.